Dental Care: Taking care of your dog or cat’s dental needs is important. At Waukegan Pet Clinic, we understand that a healthy mouth is necessary for your pet’s overall well-being. We offer a variety of dental care services to ensure that your pet’s mouth remains healthy and squeaky clean! Vaccinations: Having your pet vaccinated is not only important for his health and well-being, but also is beneficial to your family. We offer a variety of vaccinations to help your pet avoid certain ailments and illnesses. 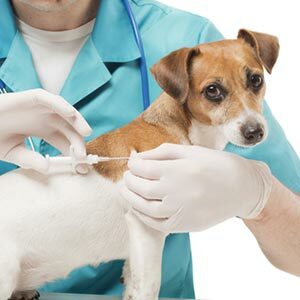 Vaccinations are one of the easiest ways to help keep your pet healthy, and keeping your pet healthy is our goal. Examinations and Diagnosis: If your dog or pet seems a little under the weather and you’re unsure what the trouble could be, it can be a scary and uncertain thing. We understand those concerns. You know your pet better than anyone, and if something is wrong, we should address that. No matter what is ailing your pet, our staff has the experience and skills to help get your pet back to his normal, happy self. Senior Care: Our older pets have very specific care needs. As your pet ages, there will be certain ailments and needs that need to be met to ensure that he continues to live life to the fullest. We can help provide care for any ailments as well as help you come up with a diet and exercise plan that will help your pet stay as active and happy as possible. Prescription Diets: Our pets are just like people. Based on age, type, and other factors or certain ailments, their specific healthcare and diet needs change. A puppy and older pet have very different dietary needs. At Waukegan Pet Clinic, we can help you come up with the perfect dietary plan to meet the specific needs of your cat or dog. Wellness and Preventive Care: Here, we believe that the best care is preventive care. 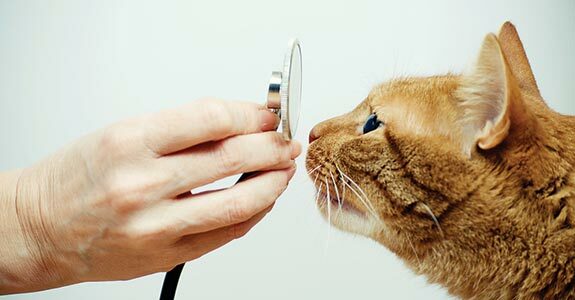 Although we have the skills and experience to provide many different services and procedures, we believe that by regular examinations and educating pet owners, we can ensure the overall wellness of your pet through preventive care. Surgical Procedures: Sometimes the health care needs of our pets are a little more serious. In these cases, it is good to know that you have a veterinarian you can trust. Our veterinarians have the skills and experience to perform a variety of surgical procedures. With a history of successful procedures and happy healthy pets to recommend us, you know you can be confident that your pet is in good hands. Labs:We have an on-site lab for same-day results on many tests. Other tests we send out with results usually within 24 hours. Radiology: Digital x-rays of entire body and teeth. Clients are our partners in pet care; therefore, we feel client education is a high priority. We individualize treatment plans to fit what your pet needs and what you can do. No matter the service or care you came in for, you can be confident that your dog or cat is receiving the very best in animal care.